Phuket is about 50km long by 20km wide – The best location to stay very much depends on individual taste. Some people like to be right next to the hub of the nightlife and shopping while others prefer more peaceful surroundings well away from the crowds. The main centre for nightlife and tourist shopping on Phuket is the town of Patong and, not surprisingly, its also where the majority of hotels are located. 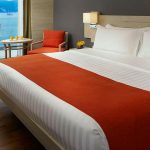 However, as Patong is a reasonable size in itself and local transport fees are hugely inflated for tourists it would pay to know where in Patong your hotel is located relative to where you intend spending most of your time. Patong is the main area in Phuket, the beach is often filled with hundreds of people, jet ski’s and people selling everything from Ice cream to massages and “lucky Balloons” (aka lanterns). The streets are littered with bars, lady boys, tailors, ping pong shows and actual litter. The aroma is one that burns your nostrils but don’t worry, you soon get used to the it, when it rains the smell goes away but be ware it comes back with a vengeance! Patong does have a great selection of markets that sell rip off designer everything as well as normal watches, wallets, clothing, shoes, hats etc . Most of the vendors all seem to sell the same thing for varying pricing, depending how you ask, what you say or what you look like. 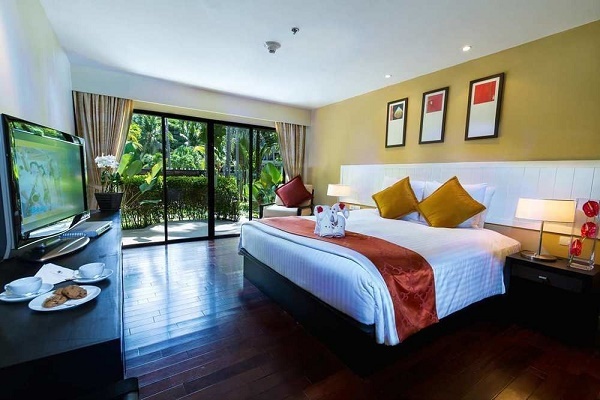 Hotels in Karon Beach offer a great haven for a relaxing holiday in Phuket. Karon, the second largest of Phuket’s principal west coast beaches, is more quiet and relaxed than its northern neighbour, Patong Beach. Kata is generally favoured by families, no matter what time of year with Its beautiful white sand, almost crystal clear waters and palm-lined beach. 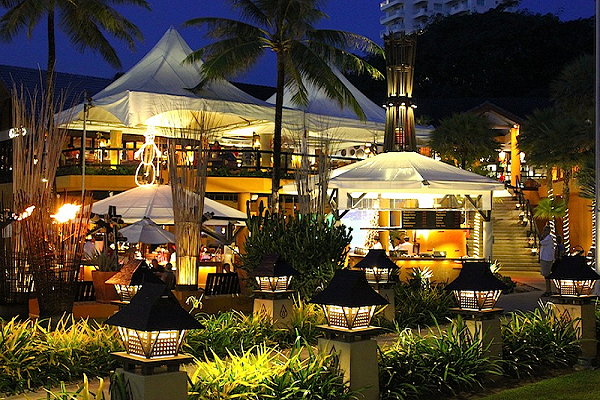 Kata has some really good restaurants and lively nightlife! It has plenty of shops from souvenir shop to clothing stores to 7-Elevens and local supermarkets. As far as night life goes Kata is not as crazy as Patong and is a little smaller than Karon, you will find that the nightlife is fairly tame as it is aimed toward families and couples rather than single men (or men in general). If you do want some “girlie bars” then head to Kata Road as there aren’t any in other area. If you are a fan of great views head to the “3 capes” look out at Kata view point, where you can see Patong, Kata and Karon. Rawai is approx. 45mins from Patong and short drive away from Chalong pier. Rawai is a place where you can relax by the beach, with very few people around and breathe in some fresh air, rather than smelly smog in Patong. Rawai beach is known as a working beach where you can easily hire a long boat to take you to neighbouring islands like Bon or Coral island for a day of snorkelling or relaxing. It’s more of a local area and only has a few hotels around the place. The locals often have “pop up” markets and easy to access 7/11 stores. This is not an area to go shopping or party in, it’s an area to relax and enjoy the fresh air and sunshine. Nai Yang Beach is only 5 mins from the airport and about an hour away from Patong. Here you will find a fine white sand beach with a few little stores, beach massage parlours, restaurants and an old abandoned hotel or two. It’s a great beach to relax without being bothered by people trying to sell you something or by other guests or visitors. The water is warm and fairly clear, you can even go snorkelling at the reef at northern end of the beach, kite surfing is fairly popular in this area too if you want to try your hand at it. Nai Yang has different ranges of accommodations for different budgets so its no excuse to miss this slice of paradise. The best part of an hour’s drive to the north of Patong lies secluded Bangtao Bay home to a host of mainly luxury hotels that offer completely self-contained tropical holidays which means that your every need can be catered for within the hotel complex. 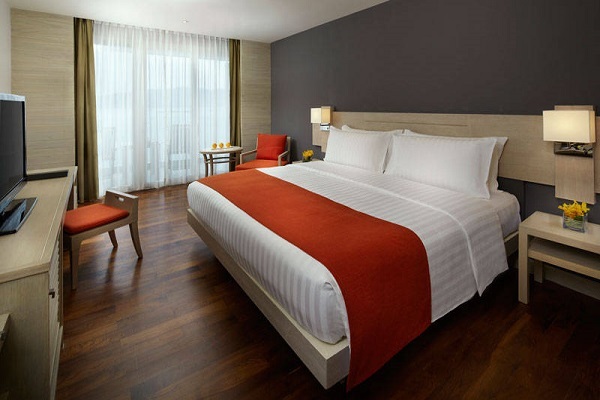 Prominent amongst these are the Laguna resorts which are built on a 1000 acre area surrounding a network of small lakes and includes the prestigious Banyan Tree and Sheraton Grande establishments. It is also the location of the Laguna Phuket Golf Club who cooperate with some resorts to offer all-inclusive packages allowing residents unlimited play on their world class course. Phuket has hotels and resorts scattered all over the island many of which have chosen more secluded locations to take advantage of a spectacular view or for exclusive access to one of the many smaller beaches not frequented by the public at large. 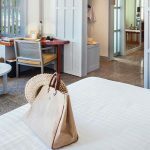 Some of Phuket’s very best such as the charming Chedi Hotel fall into this category. Its all a matter of taste, of course, but one place that may cause disappointment for some if they choose to stay there is Phuket Town. This is the capital and business centre of the island but, as its primarily a business district and is not particularly attractive other locations would be better suited to most people. Surin is a collection of upmarket resorts located near Surin and Pansea Bay beaches with a few shops nearby to service the trade they generate.